I am just as surprised as the next guy, but indeed Festool is having a closeout. 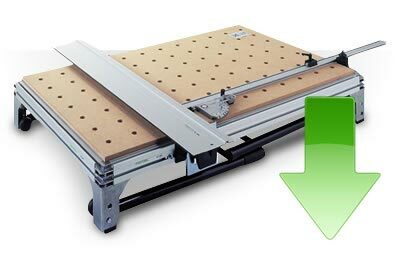 If you remember, back in the beginning of 2009 Festool enacted an across the board price increase on their products. The average price increase for 09 was just under 5%, this closeout sale offers savings of up to 25%; so there is still a considerable amount of savings. Keep in mind that the sale is only for select products, but these products include: the Domino Joiner, Cordless Drills, Orbital Sanders, Multifunction tables and more(14 items in total). The term closeout means “to dispose of all remaining stock”, so why is the Domino on sale? It is still a pretty new tool, and Festool just recently added new accessory options for the Domino. It could be that Festool is changing something as simple as the packaging or contents, or even mean a new model is on the way. Whatever the reason, enjoy the sale while you can and pick up what you need before the sale ends. Update 10/30/09: Shane from Festool was kind enough to point out that there were some minor changes made to fence and base of the Domino (link). This is the reason for the closeout, but don't be put off as many users are still using the older model without problems. If you do find out later that you need these changes, you can buy replacement parts.